East Africa is markedly different now from ten years ago if we look at how widespread 'grass-munching' has become. 'Grass-munching' refers to the consumption of khat or Catha edulis, or the derogatory term 'East African Poppy'. The plant comes from Ethiopia and Kenya. It is a soft drug with a short-term stimulant effect, but long-term consumption will have various side effects. Many countries have banned its importation. 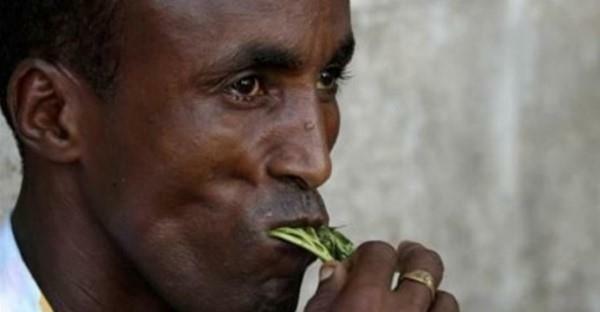 Khat in Somalia also benefits from the 'pirate enterprise': pirates share their gains with their clansmen, who spend some of the money on the drug.